Keto Brownies | Easy, Delicious, and Low Carb! These Keto Brownies are decadent and delicious, fudgey and firm, everything a brownie should be! But the best thing these low carb brownies are is guilt free! You won’t want to share them…and you won’t have to! 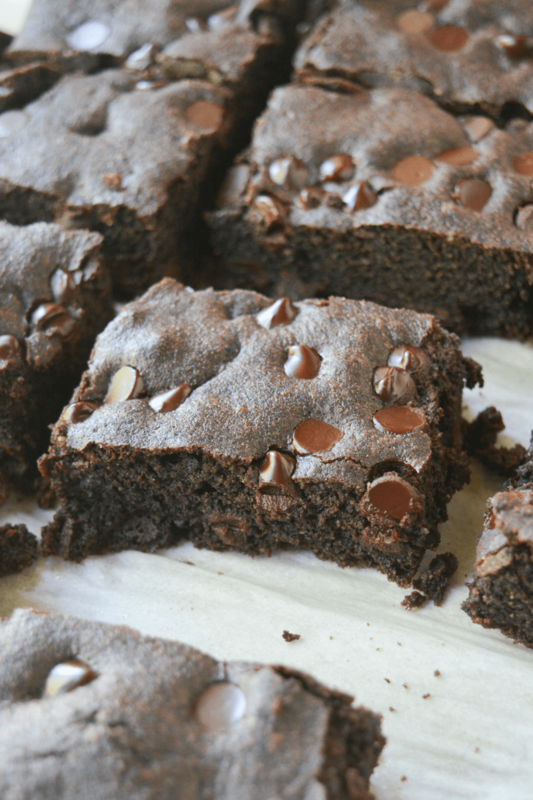 The time has finally come to mix up our own recipe for rich and delicious, easy keto brownies. And they are DELICIOUS! 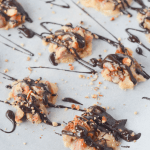 Finding quick, low carb desserts are a great way to help make sure you stay on track if you have a sweet tooth like I do, and this recipe will quickly go into your rotation! 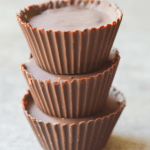 And if you need even more chocolate in your life, be sure to check out my recipe for Keto Peanut Butter Cheesecake Bites. SO GOOD. 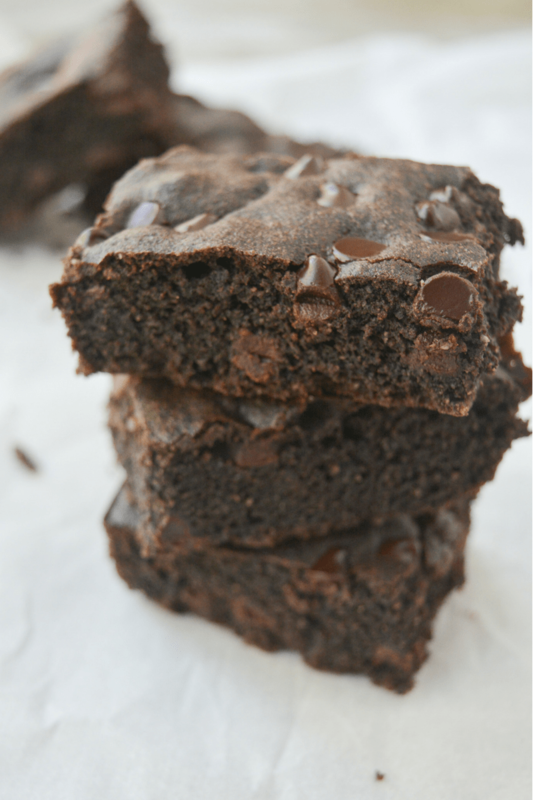 These brownies are so easy I believe ANYONE can make them! Not a very good baker? Just follow the simple instructions and you’ll be in a chocolate wonderland in no time! Use powdered (or confectioner’s) erythritol instead of granular. This will seriously cut the cooling effect that erythritol has and make your brownie batter nice and smooth, like it should be. Erythritol is my favorite sugar substitute, and the only one I bake with. Unfortunately, I’m not sure how this recipe would work with alternatives like stevia, but if you give it a try let me know how it turns out! Do not over-bake your brownies. You don’t want them to dry out or burn, and letting them finish up and firm outside of the oven is a great way to avoid that. I think everything is better with chocolate chips, so I made sure to add 1/4 cup Lily’s Dark Chocolate Chips. If you haven’t tried these, they’re an incredible tasting dark chocolate chip with only 2 net carbs per 14g (60 chips)! 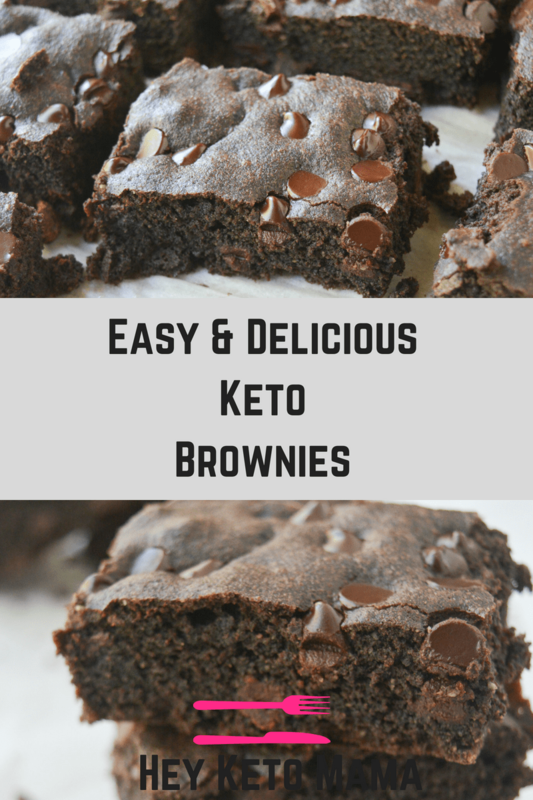 Okay, that’s enough talking…here’s how you make these easy and delicious keto brownies! 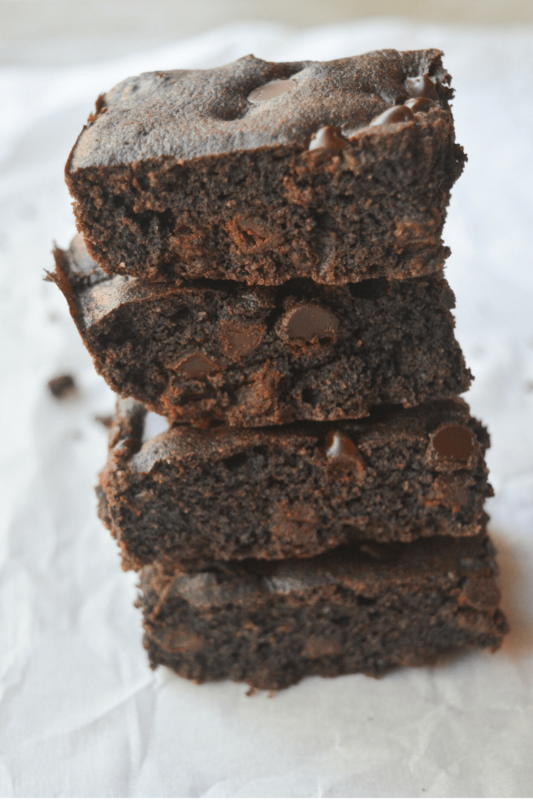 These Keto Brownies are decadent and delicious, fudgey and firm, everything a brownie should be! But the best thing these low carb brownies are is guilt free! You won't want to share them...and you won't have to! Preheat oven to 350 and line an 8x8 baking dish with parchment, set aside. In a large bowl, cream the butter and erythritol. Mix in the eggs and vanilla. Add the almond flour, cocoa powder, baking powder and salt. Fold in chocolate chips and scrape batter into prepared 8x8 baking dish. Bake for 25-30 minutes. A toothpick should come out mostly clean. It may appear a little jiggly but almond flour sets as it cools. Allow to cool for at least 30 minutes. Cut into 12 pieces. Would butter flavored coconut oil work in place of butter? I’m dairy free ???? I do think that would work just fine! Let me know how it turns out! My batter was not pourable…not as stiff as cookie dough but definitely needed to be spooned in and spread out. Any ideas what I could have done wrong? Thanks! Sorry, it was just not the right word. A couple people have mentioned it was not pourable but I’m sure you made it correctly. I poured/scraped the batter into the bowl, it was not liquid but not super thick either. I’ll update this wording. Thanks for the feedback to help me improve! I made these last night and they were easily the best keto dessert I have ever made. 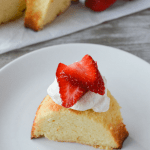 Most keto desserts are heavy on the eggs and cream cheese and as a result come out with an eggy texture and that’s less than ideal when eating something sweet. I agree with other comments that batter was not exactly “pourable,” which led me to believe I too may have done something wrong. However, when they came out of the oven I was delighted to see that they looked just like the pictures posted on the site, and tasted absolutely amazing. I made these for my husband. The only change I made was Hershey’s Dark cocoa. I added and extra tsp. He likes cake like brownies. He loved them. Thank you for your recipe. Super easy to make and they taste amazing. My kid and husband even enjoyed them. This will definitely be my go-to dessert! 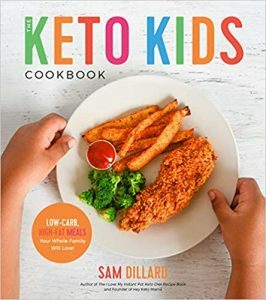 I find most keto desserts are not sweet enough. far. I have thrown a couple baked pans away. The worst was made with avocado and stevia. Stevia tastes extremely bitter with chocolate. Anyway, I will make this recipe again. Next time I won’t cook it as long. Hello! I only have a hand mixer and am just wondering any suggestions on mixing the batter together? Should I also combine the dry ingredients into the creamed butter/sugar mixture with a spoon before I fold in the chips? Or still use the hand mixer to incorporate the dry ingredients. Apologies, I’m so horrible at baking and just messed up a different recipe that was also prob super easy haha. These smelled good the moment I mixed the batter. My batter, too, was thick as cookie dough, but came out so good! Can these be made a day before an event? Do they store well? I’ve seen some recipes where they suggested you microwave to soften up. Thanks! Thank you so much for this great recipe! Mine came out delish but a little crumbly…still, I will make again because the flavor is amazing! Thanks again! And instant white cloud covered me and my counter. Brownies were light, fluffy, and delish! Next time I will definitely add the chocolate chips (I didn’t have any this time). Batter was thick and took a minute to pour/spread in the pan with the parchment but the parchment made clean up a breeze! Thank you! I have Truvia. how much would I use in this recipe? HOw much stevia did you use? I appreciate your help. I followed directions but they came out a little too “cakey”, i used Sweeve confectioners and the erythritol after taste is going to be a little too strong for my non-guests that I was trying it out first before serving it to them. I’d love to try it again, any suggestions? Is the info right for Nutrition?? It says Carbs are 16.92 carbs per ONE brownie??! 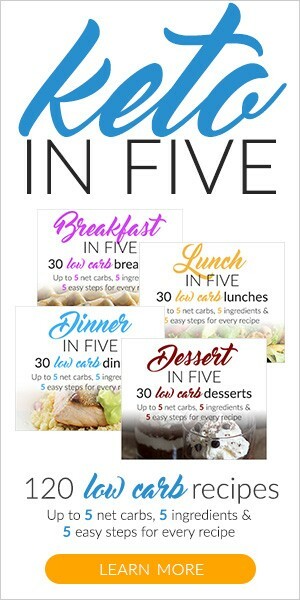 Most Keto diets are like 20 carbs or less per day so I’m just curious if this was a wrong calculation? I’m hoping not because these look delicious! It’s correct, you must also subtract sugar alcohols as well as fiber, which brings it down to well below 20g. Just above the recipe we have a full table break down of all the ingredients and their nutrition info. Above that is a little summary which includes the sugar alcohols and the net carbs. Hope that helps! So does that mean that the true carbs for 1 brownie is 2.6 carbs? 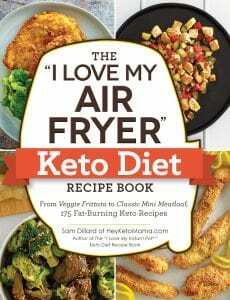 Best keto brownies ever! Thank u for such an easy and delicious recipe. Very good recipe! Delicious Keto brownies. No aftertaste using Swerve which was great but found the brownies a little too sweet. We’ll use less Swerve next batch or switch using Erythritol branded product and see if it makes a difference in sweetness. Attempted second batch cutting Swerve to half cup. Result a less sweet brownie but stronger level of chocolaty taste, fine by us. Keto Brownie Nirvana is somewhere between a half and full cup of Erythritol added. Substituted coconut oil for butter which turned out perfect! Also added natural pb on top for icing. YUMMY! !